Almost worth having PMS! Okay, maybe that’s a little extreme, but PMS Bites are super delicious and are aimed at making you more comfortable during that awful time of month. 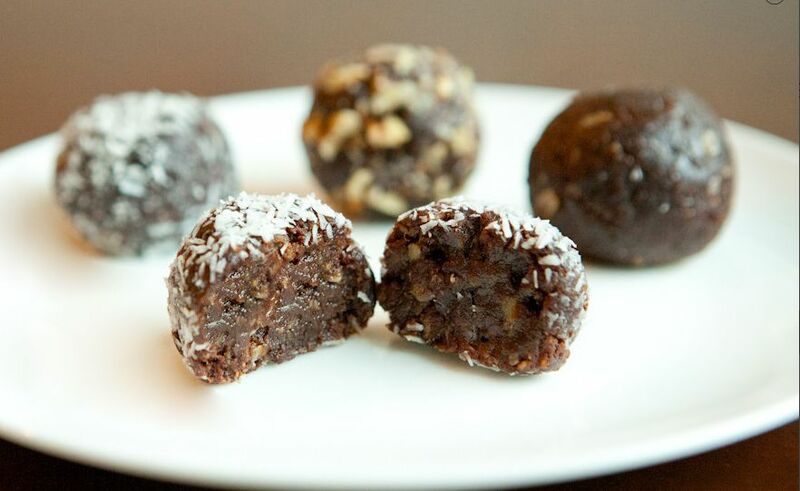 Moist like chocolate truffles, they are gluten free, all natural, and vegan. They come in a little box with 6 yummy bites – we had a variety: Plain Crazy (lightly dusted in cocoa powder and coconut palm sugar), Coco-Nutty (sprinkled with fluffy coconut), and All Kinds of Nuts (generously rolled in crunchy pecan clusters). We can’t say we had a favorite because they were all scrumptious! With only 50 calories per delightful ball and no processed sugar, you don’t have to feel bad about eating one (or two, or three!). The key is that they contain herbs like dandelion root, Siberian ginseng, and chamomile that help to reduce your PMS symptoms. An excellent choice for “comfort without guilt”!